Our society is not really keen on failure. If we wanted to assign blame for this, we could point to Apollo 13, the movie about an ill-fated mission to the moon in 1970. Faced with a catastrophic equipment malfunction and the potential loss of a lunar spacecraft and three astronauts, Ed Harris’ NASA mission control character famously asserted, “Failure is not an option!” And, despite daunting odds, the NASA team got the astronauts safely back to Earth. 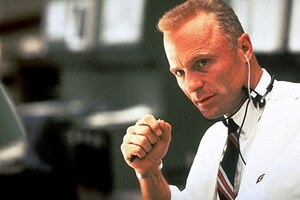 Apollo 13 was a great movie, but only in Hollywood would failure not be an option. Outside Hollywood, here in the real world, failure is not only an option, it’s a pretty common outcome. Actually, given the crop of stinkers that has kept me away from movie theaters this summer, failure is pretty common in Hollywood too. A while back, I started discussing success and failure in utility marketing and communications with Arnie Winkler, director of education and workforce development for the Northwest Public Power Association (NWPPA). But we had to cut our conversation short because I had a doctor’s appointment. Not 30 minutes later, sitting in my doctor’s office, I came across a National Geographic article on famous failures among explorers, such as Ernest Shackleton’s doomed attempt to cross the Antarctic a century ago. “Failure — never sought, always dreaded, impossible to ignore — is the specter that hovers over every attempt at exploration,” the article said. Sounds depressing, but it’s true. Failure is the norm in so many of our endeavors. Half of marriages end in divorce. Companies routinely fail to achieve their operating and financial goals. More than 75% of new businesses don’t make it past year one. Eight of 10 investments by venture-capital or private-equity firms fail to break even. Marketers know many, if not most, of their initiatives and campaigns don’t succeed. Nearly all new product introductions fail, some spectacularly so. In direct mail, turning 1% of all prospects into clients is the standard success rate — implying a failure rate of 99%. What do marketers say when only 9 out of 10 people fail to do what we want them to do? They say, “Hooray,” because that works out to a 10% conversion rate, which is off the charts terrific. The world’s best athletes routinely fail. The very best quarterbacks in the National Football League complete only 65% of their passes. Michael Jordan, arguably the best professional basketball player ever, is said to have missed over 9,000 shots in his career. The best hitters in Major League Baseball fail to get on base about 60% of the time. 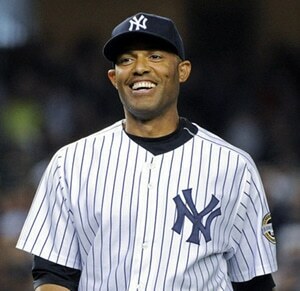 Mariano Rivera (left), the best relief pitcher in professional baseball history, saved 652 games for the New York Yankees, hundreds more than any other active relief pitcher. Little-known fact: Rivera began his baseball career as a starting pitcher. In that capacity, he failed nearly every time he took the mound. Rivera’s advice for pitchers — indeed all athletes — is highly applicable to utility marketers and communicators: Have a short memory. My dog Callie (right) has a short memory. 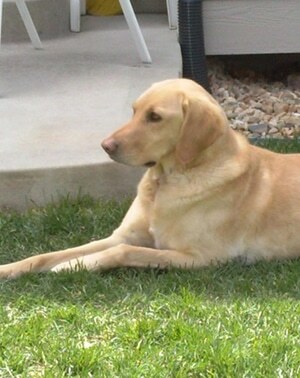 Like most of her Labrador and Golden Retriever cousins, Callie loves to run. Her favorite activity is to chase rabbits and squirrels. Basic physics says she will almost never catch one. But each day Callie, like Mariano Rivera, shakes off yesterday’s failures. She explodes off the porch in frenzied pursuit of her prey. Her short (non-existent?) memory is what keeps her going. Our neighborhood has plenty of squirrels and rabbits, which means each day brings Callie plenty of “new” opportunities. So as utility marketers and communicators, what do we do about failure? Of course, we should learn from it, as Thomas Edison did in his quest to invent the light bulb. The father of our industry once remarked he successfully demonstrated 10,000 ways not to invent the incandescent light bulb before he found one way to invent it. Communications Tip: Utility marketers and communicators need a short memory and a steely determination to succeed. Each shortfall can bring you closer to success, providing you learn from your missteps and are not intimidated by them. So that’s another key to success – savor your successes. Don’t gloat, but don’t minimize them either. Spend time to reflect on what worked, why, and whether that insight could help you and your company in other areas. We are all being asked to do more with less, in a shorter amount of time. But before you charge off on that next project, take a moment to relish what went right in your successful projects. When I launched EEC in 2009, I needed simple tools to help me prioritize my work and track my time. Using Word, I created a Daily Task List. Using Excel, I created a Project Activity Tracker where I tracked in quarter-hour increments the time I spent in three categories of work: Building the business, Managing the business and Doing the business. Now, at the end of each week, I review my Task List and my Project Activity Tracker to gain perspective on where I spent my time that week, and how that moved my company forward. If you diligently track the data, as I try to do, you often will be surprised — both positively and negatively. If you would like to use them in your work, you have my blessing. The Word and Excel templates are useful tools, but success requires more than a set of tools. It depends on your attitude as well. Perhaps you’ve heard the saying, “Your altitude depends on your attitude”? It’s true! In every field I’ve studied, and a lot of fields others have studied, successful people start each day with a new commitment, a fresh desire to learn and create success. They decide to run faster, take a new path and stretch out their arms farther. Success is a conscious choice. You may not succeed today, and you may not have succeeded yesterday, but if you are unshaken in your commitment to success, you will be successful. It’s only a matter of time. At least that’s what Callie, Mariano Rivera and Thomas Edison would say. Who am I to argue?